Cork City North West Workers’ Party candidate Catherine Coffey has expressed concern after the discovery of a number of both opened and unopend heroin treatment kits across the Northside of the city. Catherine Coffey said that she had found an unopened heroin treatment in her own area while used kits, including needles, has been found elsewhere in the city. This was a matter of major concern as these kits could easily have been picked up by young children unaware of the dangers they could potentially pose. 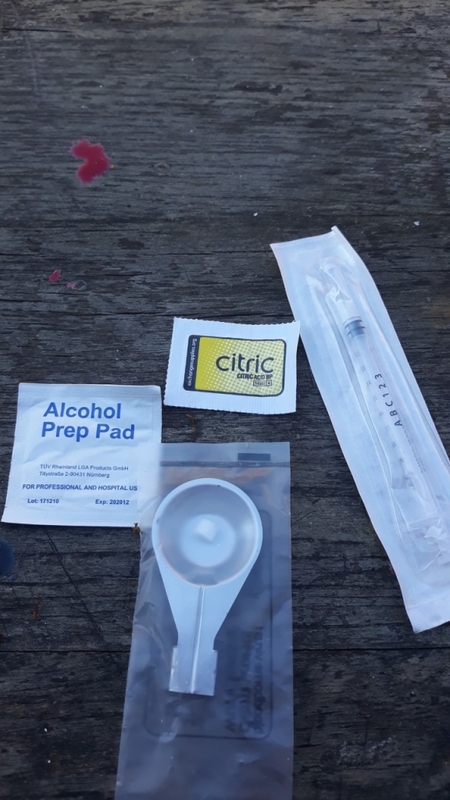 Each kit consists of a small syringe, needle, sterile pad, citric acid for mixing and a disposable aluminium foil spoon for the heating of heroin. “While recognising the need for drug treatment programmes, I feel that it is not acceptable that either sealed packages or used heroin ‘works’ can be found on a public footpath or in grass near to public areas. There is clearly a need for stronger protocols regarding both the distribution and disposal of these potentially dangerous kits”. The Workers’ Party representative said that the provision of drug treatment centres could dramatically reduce the irresponsible disposal of needles unfortunately there is often a knee-jerk reaction against such centres which ignores the consequences of not providing such facilities. “What is the required is the provision of publicly managed and properly funded injection facilities and treatment centres run to the highest international standards. Drug addiction is a reality, not just in Dublin and Cork but in every small town and community in Ireland and we have to deal with it.”, said Catherine Coffey.